By 1980. consumer goods had become increasingly scarce and virtually unavailable in Guyana. With the country at a crossroads, severe constrains and restriction on imports were imposed by the government of the day. Frank DeAbreu (a life insurance salesman) garnered together his meagre resources and began “suitcase trading” in small quantities of items that were in short supply, such as cricket balls and Jamaican Ambi and Lander products. Six years later, as consumer demand grew for better quality products, DeAbreu began importing from Lever Brothers West Indies Limited, Nabisco Incorporated and Sterling Drugs Limited. He imported such products as Breeze detergent, Dot toilet cleaner, Royal icing sugar, Royal gelatin, Fresco drink mix, Panadol and several others. 40% owned by Caribbean Distribution Partners (a 50/50 JV between Agostini’s Limited and Goddard Enterprises Limited) By 1990, DeAbreu’s investment capital became severely strained, which resulted in him teaming up with Bhagwan Singh to form DeSinco Trading Limited (i.e. a partnership of DeAbreu & Singh). The following year the partnership ended and DeAbreu acquired sole ownership. 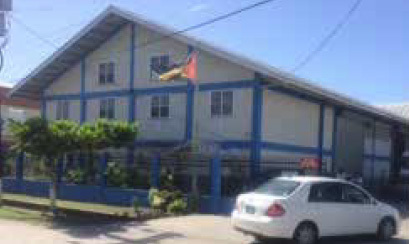 By 1993, Desinco had four employees and was well on the way to realizsing the company’s dream and vision of “Being the best distributor of quality consumer’s goods in Guyana”. Desinco continued to grow and maintain strong brand presence and in January 2015 welcomed Agostini’s Ltd as their new partner, selling them a 40% stake in the business. In July 2015, Desinco Limited became part of the Caribbean Distribution Partners joint venture. In January 2018, Caribbean Distribution Partners Ltd increased its shareholding in Desinco from 40% to 51%.